The Lunning Prize is a book detailing the work of the various recipients of the "Lunning Prize" which was awarded annually for innovative Danish design. 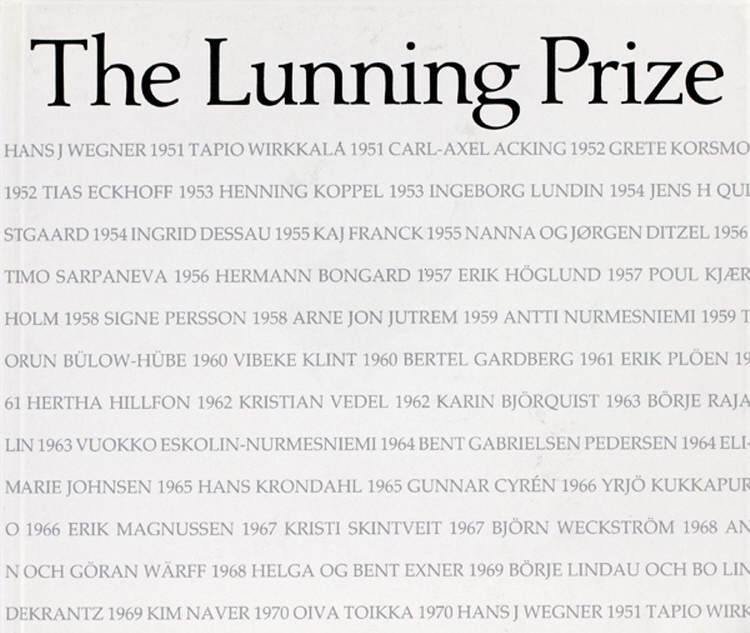 Frederik Lunning established the prize in 1951 and the last one was awarded in 1970. This book is out of print and difficult to find. It is an excellent addition to the library of any Jensen or Danish modern collector.